Flavius Terry Laffoon was born on July 28, 1833 in Lawrence County, Tennessee to parents Matthew and Elizabeth Murrell Laffoon. In 1840 Matthew and his family were enumerated in Giles County, Tennessee. Family historians estimate the family migrated to Arkansas around 1845, but by 1850 Elizabeth was a widow and living with her children in Carroll County, Arkansas. Nine of her children, including Flavius, were enumerated in the same household that year: Thomas (26); Elizabeth (22); Mary (20); Flavius (17); Edward (16); Lycurgus (14); Gideon (12); Evaline (8); Matthew (5). Flavius married Judia (or Juda) Thomas, daughter of Nicholas and Amanda Thomas, on December 24, 1854 and together they had seven children: Thomas, John, William, Andrew Jackson, Amanda, James and Dora. While not everyone in Arkansas supported the Confederate cause during the Civil War, nevertheless the state seceded from the Union on May 6, 1861. 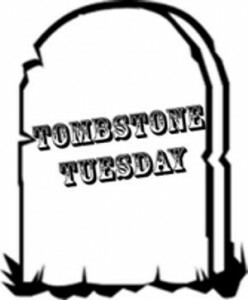 Some residents of the northern counties of the state (Searcy, Marion, Carroll, Izard, Fulton and Van Buren), however, were pro-Union and members of the Arkansas Peace Society as noted in another Tombstone Tuesday article published in 2014 (read it here). On June 14, 1862 Flavius enlisted in Izard County and joined the 27th Arkansas Infantry which officially organized at Yellville the following month. Missourian James Shaler was appointed as colonel of the regiment, but soon proved to be unpopular with his charges. Shaler was vehemently anti-Union and focused on liberating his home state from the Union, although the 27th had been organized primarily for the defense of northern Arkansas. Arkansans were outraged when Shaler replaced the Confederate flag with the Missouri flag. More outrage ensued when he attempted to transfer the entire regiment to a Missouri brigade. On April 4, 1863 military records indicate that Flavius was granted a 22-day furlough, but by May 24 was listed as being absent without leave. Perhaps Flavius, having had enough of Shaler and his shenanigans, headed home. When he enlisted in 1862, Flavius left behind Judia and three young sons. His brother Gideon also served in the 27th (as were brothers William, Edward and Lycurgus). Captured in Woodruff County, Gideon later died in captivity of typhoid fever in June of 1864. It appears that northern Arkansas remained the home of Flavius and his family, including his remaining siblings. 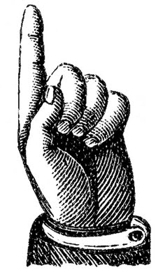 Mining was a major industry in the area, but the Laffoons were mostly known as farmers. Flavius and Judia owned land in Marion County, having purchased forty acres in 1861. In 1870 their personal estate was valued at only $170, however. Military records do not indicate Flavius was ever injured or wounded while serving, but on January 25, 1879 he died at the age of forty-five, leaving Judia with six minor children to provide for. Her son John died in 1881. 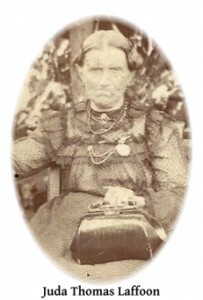 Judia continued to live in Marion County and in 1908 filed for a Confederate Widow’s Pension. In 1910 she was living with her son William and his family. William died in 1914 and she continued to live with his wife until her death in 1929 at the age of ninety-one. She was buried in the Laffoon Cemetery in Marion County. Although some family historians have suggested Judia was of Native American (Cherokee) descent, others have cast doubts as to that claim given the fact one of her brothers was born around the time of the so-called “Trail of Tears” and named Andrew Jackson Thomas. It does strain the bounds of credulity to believe Native Americans would name one of their children after the person responsible for forcibly removing them from their ancestral lands. Thomas Madison Laffoon, Flavius and Judia’s oldest child, purchased land in 1883 for the Cabin Creek Cemetery, also known as the Laffoon Cemetery. A stone honoring Flavius was placed there, but whether he is actually buried there is unclear. It is believed most of the people buried there, perhaps as many as seventy, are related by birth or marriage to the Laffoon family.